Originally posted 12/1/16. Updated to include trailer & September 27 release date. 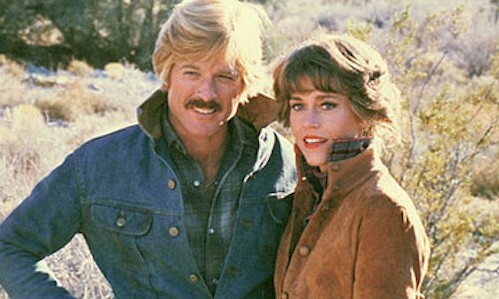 Like me, Jane Fonda had a crush on Robert Redford back in the 1970’s. 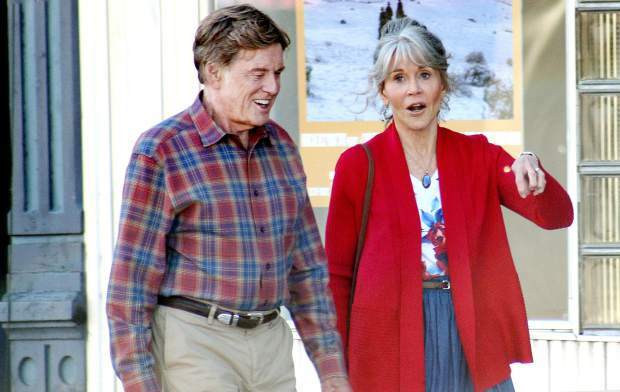 I think they’ve stayed friends—or at least friendly—over the years and now, all these years after Barefoot in the Park and The Electric Horseman, they’re reuniting in a movie about love in the twilight years. 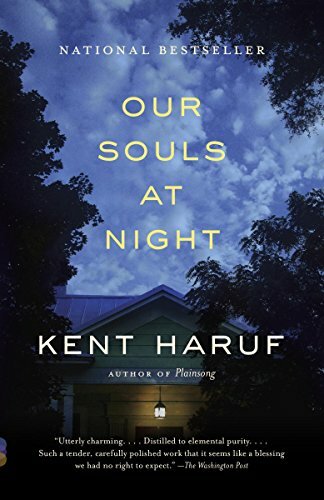 Based on the posthumous novel Our Souls at Night by Kent Haruf, the script was written by Scott Neustadter and Michael H. Weber, the writing team that gave us 500 Days of Summer, The Spectacular Now, The Fault in Our Stars and the upcoming Richard Linklater-directed Where’d You Go Bernadette. While most of their work has been directed towards young love, the rom-com genre their forte, the pair works in the deeper, more nuanced territory than the rom-com label implies. The book was published earlier this year, the setting will be familiar to fans of the author. I’m a sap, so unsurprisingly, the book description brought a tear or two to my eyes. I’m putting the novel on my wish list and the film on my list of must see Movies Based on Books 2017. The film comes out on Netflix on 9/27/2017. I'm adding it to my list of movies to see this month! As for my crush, Redford still won’t answer my letters. What?! Kent Haruf is one of my mostest-favoritest writers ever and I hadn't heard that this book was going to be a movie. Such a good book. I love your recommendations, I'll take that as my cue to follow through and read it.